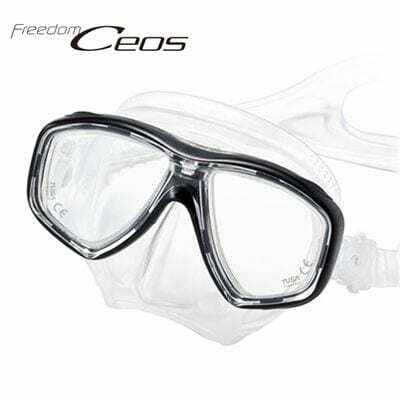 The M-212 Ceos is a low-profile low volume two window mask that features the newly developed and revolutionary Freedom Technology delivering superior fit, comfort and performance. The Ceos is one of the first next generation TUSA masks offering this innovative new technology combined with superior design, build quality, materials and frame construction. 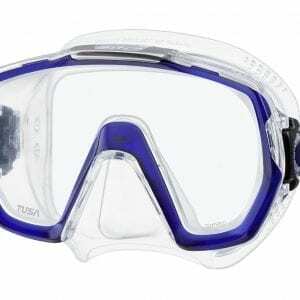 It is one of the best Masks on the Market that takes manufacturer stocked standard Corrective Lenses for both Near Sighted (Negative) and Far Sighted (Positive) corrections.